Ranking the Teams #18-13, My Version: Who Else Misses out on Playoff Contention? Ranking The Teams #24-19, My Version: Who will have to Wait till Next Year? Ranking The Teams #12-7, My Version: Who has Playoff Chances? Ranking The Teams #6-1, My Version: Super Six? I also released my 3rd annual preseason Baseball Bits! The Reds began to gear up for contention this off-season by acquiring OF Yasiel Puig and multiple starting pitchers including Tanner Roark, Alex Wood, and Sonny Gray. This team is still headlined by 1B star Joey Votto as well. The NL Central is a really tough division, so that may hold the Reds back this year unless one of last year’s top three in Milwaukee, Chicago, and St. Louis takes a step back. When Cincy last made the playoffs in 2013, there were two other teams ahead of them in the NL Central standings, so they may just need a few more pieces and one team to crack in order to contend. However, I can’t see that happening this year. Expect a sub-.500 season in the meantime. Pretenders: The Reds are definitely closer to contention after making some big moves this off-season. But I wasn’t so crazy about some of the moves they made. The Puig trade was a steal, but they could have done a better job fine-tuning the rotation. Getting rid of Homer Bailey was not smart, as he is a consistent mid-tier starter when healthy. Sonny Gray, one of the pitchers who replaced Bailey, is far less consistent. They made some good moves, but it’s not enough for a playoff run. The Twins didn’t quite live up to expectations in 2018. They were expected to chase the Indians for the AL Central for the 2nd straight year. But they ended up a few games below .500, dragged down by the struggles of Miguel Sano and Byron Buxton. Those two were expected to lead this team when they first made the majors. This off-season, the Twins did add Nelson Cruz, but at his age, I don’t know how much longer he can produce at an elite level. Michael Pineda’s return will also boost them, but I don’t know how much they can improve with Sano and Buxton both remaining question marks. A Jose Berrios breakout could help, but I still can’t see them being a legitimate 2019 playoff contender. Pretenders: The Twins made some nice moves to add to a roster that was already intriguing. They added Cruz, Jonathan Schoop, and others. But the lingering questions surrounding Byron Buxton and Miguel Sano remain, and the bullpen is also a question mark. The White Sox may have lost out in the Manny Machado sweepstakes despite adding Yonder Alonso and Jon Jay to intrigue Machado. But their off-season is not a full failure. They added some nice pieces in Jay, Alonso, and SP Ervin Santana while still allowing their young core to receive playing time. Yoan Moncada (once he breaks out), Adam Engel, and Eloy Jimenez give me optimism about the future in Chicago. As they start to develop, Chicago will jump into the mix in a weak AL Central. But they may have to add a few more pieces and wait till 2020, or maybe even 2021 for legitimate playoff contention. They could have won the division and done it in 2019 with Machado. Contenders: I don’t expect the White Sox to win the AL Central this year, but this next wave of talent may begin to make the White Sox appear capable of contending. Moncada, Engel, Jimenez, Michael Kopech, Dylan Cease, and others should significantly boost the roster and allow this team to show flashes of greatness in a weak division. Brodie Van Wagenen made things very interesting in his first off-season with the Mets. After refusing to trade Jacob deGrom and/or Noah Syndergaard and instead acquiring Robinson Cano and Edwin Diaz from Seattle, he made it clear that the Mets were hoping to contend for one more season. He proceeded by continuing to beef up the roster, adding Jed Lowrie, Wilson Ramos, Carlos Gomez, and others. The Mets will at least be competitive this season, but I can’t see them standing out in the league’s best division, the NL East. They will not be able to keep up with the Braves, Phillies, and Nationals. Maybe it’s time to rebuild if this season is indeed another failure. Pretenders: The Mets added some nice pieces, such as Cano, Diaz, Ramos, and Lowrie. But they did not address their direct positional needs. Sure, they added a catcher, and an outfielder. But until they get the infield situation figured out, this team will have trouble finding an identity and jump-starting back into contention. Lowrie and Cano are nice pieces, but where do they fit, and will 1B Peter Alonso be on the roster come Opening Day? In Bruce Bochy’s last season, I expect the Giants to exceed expectations. Though injuries have held them back the last couple of years, they still have a very strong roster on paper. Madison Bumgarner and Jeff Samardzija lead a rotation that now contains more depth. So long as Buster Posey can bounce back at the plate in 2019, the lineup should be set as well. Who knows, maybe Evan Longoria could be a bounce back candidate as well. Behind Posey and Longoria, they have new additions Yangervis Solarte and Gerardo Parra, SS Brandon Crawford, 1B Brandon Belt, and others. The Giants have not done very well in these last two seasons. But assuming they are healthy, 2019 contention isn’t too farfetched. Contenders: The Giants will at least be closer to the playoffs this season than most people expect. It’s injuries that has held them back over the last couple of years. Neither MadBum nor Posey had been healthy in 2017 and 2018. With those two feeling alright, the rotation beginning to come together after Dereck Rodriguez’s emergence, and the lineup looking okay despite outfield depth issues, the Giants could come close to the playoffs if they don’t make it. The Dodgers have now lost two World Series’ in a row. Expect a hangover this time around. The loss of Brian Dozier to free agency hurts their infield depth significantly, and it was a rough off-season. They traded Yasiel Puig, Alex Wood, and Matt Kemp to the Reds for Homer Bailey, who they ended up releasing. It did clear up crowding in the outfield, and they signed A.J. Pollock to maintain depth out there, but it’s still a waste of a trade. The rotation has plenty of depth, but Clayton Kershaw’s health and Walker Buehler’s ability to replace him remain question marks. Bullpen depth could also be problematic. Expect the Dodgers to try to contend, but fail to make the playoffs in a weak NL West. Pretenders: The Dodgers should finish with a fairly strong win-loss record as usual. But I think the team will take a step back after a rough off-season, and despite their strong record, they may have a hard time getting into the mix for the Wild Card. Even in a weak division, the Dodgers will have trouble relying on repeat performances from two older 2018 breakouts, Max Muncy and Chris Taylor. That’s all for this portion of my MLB preseason power rankings. Stay tuned for my next set later today. MLB 2019 Predictions: Who will Follow in Houston and Chicago’s Footsteps Post-Rebuild? The time has finally come. If you are reading this, the NFL season is over, both Bryce Harper and Manny Machado have signed, and Spring Training has begun. After a long off-season, baseball is finally back, and it is time for my MLB 2019 Predictions. I will be predicting each team’s win-loss record, sharing my projected playoff bracket, and sharing some award predictions. My projected World Series winner is a team that began rebuilding a couple years after the Astros and Cubs rebuilds and has now followed in their footsteps to contention. Keep reading to find out who that team is and how they will achieve a World Series victory. 2018 was Boston’s year. They built up the roster preparing for a World Series, and now the damage is done. Expect a mild World Series hangover due to the departure of closer Craig Kimbrel and the loss of momentum. If Kimbrel returns, they may be more equipped to repeat. But right now, as much as I hate to admit it, the Yankees have the most talent in the division. 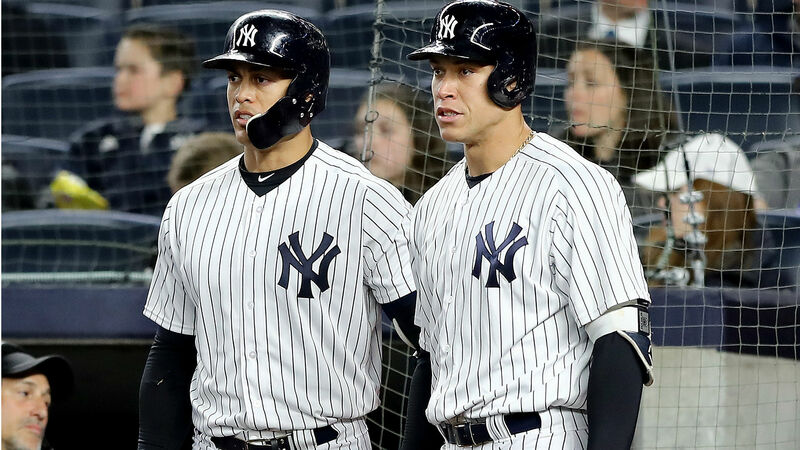 Their rotation depth issues are finally fixed, the bullpen could go down in record books, and the lineup is still flooded with big hitters, including the superstar duo of Giancarlo Stanton and Aaron Judge. Expect New York to win the division this time around, but the Red Sox should still easily score a Wild Card spot. Toronto should be moving quickly in their rebuild thanks to a talented group of prospects including the leagues #1 prospect, Vladimir Guerrero Jr. Now, they are an extra starting pitcher away from becoming a sub .500 team close to contention. Remember, they are just a couple years removed from the start of a rebuild. But this group of prospects will give them a respectable major league roster by the end of the season. With Toronto on the rise, the Rays will take a step back. The Rays never really replaced 1B C.J. Cron, OF Carlos Gomez, or reliever Sergio Romo. If they want to keep using an opener, they’ll need to beef up the bullpen. Otherwise, expect significant regression in 2019. They were right on the verge of contention in 2018. Had they beefed up the roster a little more, they might have had playoff chances this year. But instead, they’ll sit towards the bottom of the AL East. However, the Orioles will remain in the AL East basement after a 47 win season. The Orioles finally began a full rebuild in 2018, but this may be a long, painful rebuild considering their 2018 final record. Despite an underwhelming off-season, the Indians should be able to stay atop the AL Central. In most other divisions, the Indians would have to fight for a Wild Card spot, but in the AL Central, they should have an easier route to the playoffs, as none of the other teams in their division are ready for contention. Despite coming up short in the Manny Machado sweepstakes, the White Sox made several improvements this off-season that can assist their young core in the next step towards contention. If they add a starter or two and another infielder, they could be chasing the Indians for the division by 2020. The Twins won’t see a significant improvement this year, but hopefully the return of SP Michael Pineda and better years from Miguel Sano and Byron Buxton will help them move up the standings slightly. That leaves the Royals and Tigers, two rebuilding teams, in the basement of the AL Central. With Billy Hamilton on board and some of their younger players ready to start, the Royals may see slight improvement. But it will take a couple years for the Tigers to do the same. Though the lineup will be better with the addition of LF Michael Brantley, the Astros’ rotation took a significant hit thanks to the free agent departures of Dallas Keuchel and Charlie Morton and an injury to Lance McCullers Jr. If the rotation does well without Morton and Keuchel, the Astros could win another World Series. No matter what, I think they’ll win the division, but if the rotation struggles I wouldn’t expect a deep playoff run. The Angels will also sneak into the playoffs in an extremely top-heavy American League. In my eyes, the American League will have three 90+ win teams: the Astros, Yankees, and Red Sox. That leaves the door open for slightly above average teams like the Angels to make the playoffs. 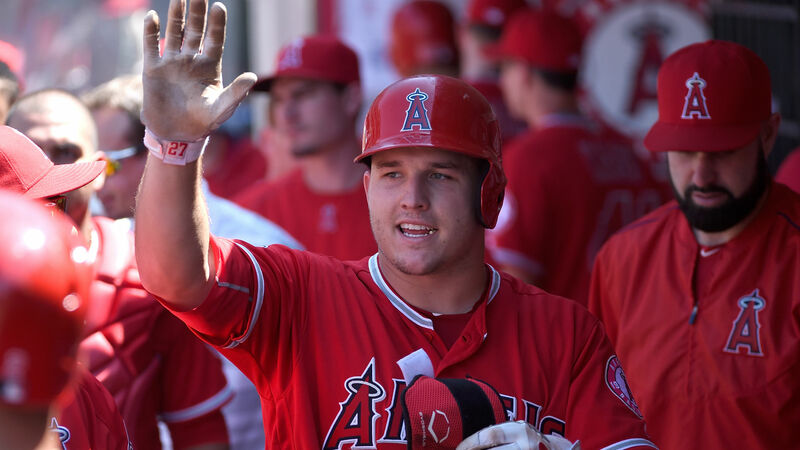 Led by Mike Trout and the rest of the big-hitting lineup, they’ll snag a Wild Card spot. The Athletics will take a step back this year after a playoff appearance in 2018. The rotation will be without Sean Manaea and Jharel Cotton for a good portion of the season. Mike Fiers and Marco Estrada cannot lead this rotation alone. Plus, the only Jed Lowrie replacement the A’s were able to find was former Rangers utility man Jurickson Profar. The losses of Jonathan Lucroy and Matt Joyce will also make an impact on the team. That leaves the Rangers and Mariners. 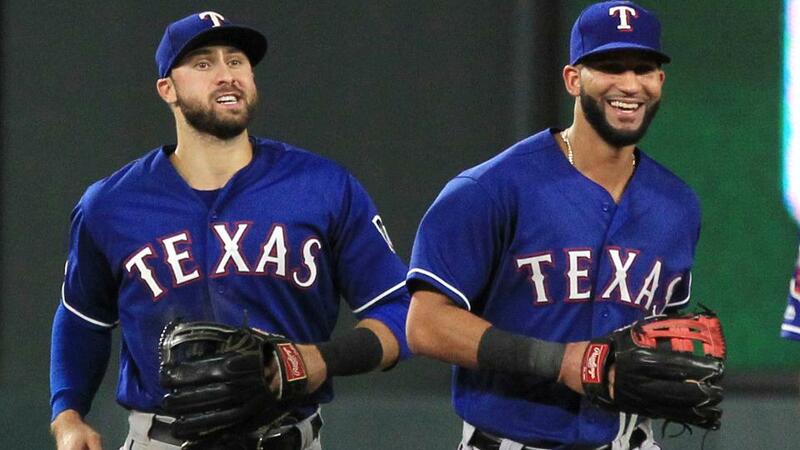 The Rangers won’t improve much quite yet despite an experienced rotation and a core led by outfielders Joey Gallo and Nomar Mazara. They’ll need to undergo a full rebuild before significant improvement can occur. The Mariners are starting that process, though they still boast a respectable MLB roster. They could’ve probably contended this year if it weren’t for the start of a rebuild. But instead, they gave up some of their most talented players in exchange for minimal top prospects. The less talented roster will put the team into a situation similar to that of their division rivals, the Rangers. Despite a respectable roster with experience, the team won’t be talented enough to produce above average seasons. This will undoubtedly be the most competitive division in baseball. I see a young, but emerging Braves team repeating as the division winner, led by a big year from Freddie Freeman, significant contribution from new 3B Josh Donaldson, and a bounce back for SP Julio Teheran. In 2018, the Phillies were a star or two away from greatness. This off-season, they added C J.T. Realmuto, OF Andrew McCutchen, SS Jean Segura, and most of all, OF Bryce Harper. Led by Harper, the lineup will be loaded with talent, leading to a big year. The Nats and Mets will also contend. The Nats made up for Harper’s departure by boosting the rotation with SPs Patrick Corbin and Anibal Sanchez. To add to it, they signed 2B Brian Dozier. Even without Harper, they should still be in good hands with Max Scherzer, Anthony Rendon, Juan Soto, and others. After adding 2B Robinson Cano among other stars, the Mets should also stay in contention, at least for this year. The only team that’ll be out of this hectic NL East race is the Miami Marlins. The Marlins sold their entire outfield plus Dee Gordon and J.T. Realmuto in trades within the last two off-seasons. Without Realmuto, they will remain one of the worst teams in the league. 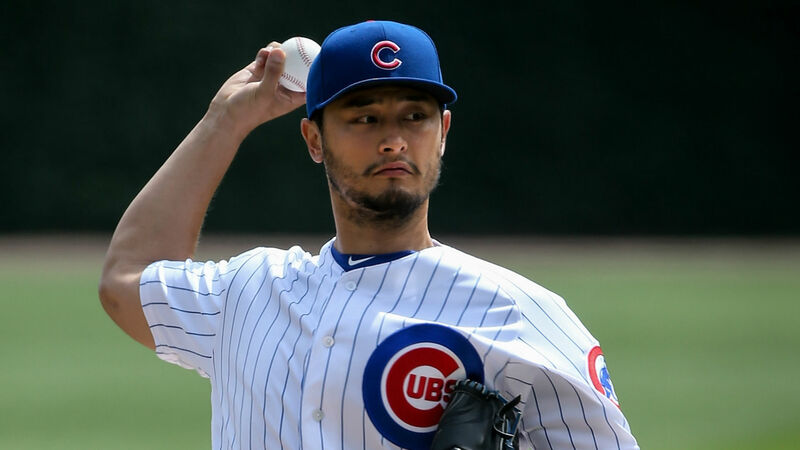 I know people are concerned about the Cubs due to uncertainty about Yu Darvish’s health. But regardless of Darvish’s health, I think the Cubs have one of the best rotations in the league. Add in an underappreciated bullpen and a respectable lineup, and the roster begins to look underrated. I do have confidence that Darvish will be alright though. The Cardinals should be Chicago’s biggest concern, as I expect the Cards to be knocking on Chicago’s door in the NL Central. 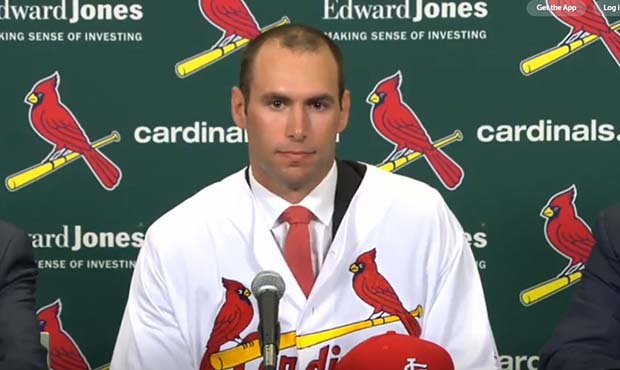 With Paul Goldschmidt on board, they will combine their young, exciting pitching staff with a star-studded lineup and return to the playoffs for the first time since 2015. Meanwhile, despite adding C Yasmani Grandal, I expect the Brewers to take a step back. I don’t trust 1B Jesus Aguilar or Jhoulys Chacin to repeat their strong 2018 seasons. With the rotation depleted and the lineup looking a little less overpowered, Milwaukee will fall behind as the NL Central competition gets more intense. Meanwhile, the Reds will begin to take steps toward contention, led by new OF star Yasiel Puig and long time Reds 1B Joey Votto. They added a lot of experience to the rotation as well, so that should help. That leaves the Pirates in the division’s basement as they begin a rebuild. Their rotation should look pretty good this year, and when Gregory Polanco gets healthy, the outfield will thrive as well. However, I don’t fully trust Trevor Williams yet, and in such a tough division, I can’t see this rebuilding team finish very well. I think this might be the year when the Dodgers are finally dethroned. Despite a strong rotation led by Clayton Kershaw and the young Walker Buehler, the bullpen lacks depth beyond Kenley Jansen. In addition, they traded Yasiel Puig and Matt Kemp for next to nothing. It does open up space in the outfield but the team will take a step back as a result. The infield already lacked depth with Brian Dozier leaving. Failing to sign Bryce Harper after the Puig/Kemp trade just made the depth problems worse. This will allow the Rockies to win the division. Their rotation isn’t amazing, but they’ll be able to manage thanks to hitter friendly Coors Field and a strong bullpen to back the rotation up. It’s the star-studded lineup that will lead them to a division victory. The Giants are also closer to contention than you might think. They quietly boosted the rotation this off-season. This will add to their strong bullpen and allow them to achieve a winning record despite a subpar lineup and questionable outfield situation. Even though they signed Manny Machado, the Padres won’t contend unless they significantly upgrade the rotation. Plus, they should have better luck contending once Fernando Tatis Jr. is in San Diego for a full season. They will finish ahead of the D-Backs, who will take a significant step back without Goldschmidt. That leaves SP Zack Greinke as the best player left, and there were trade rumors surrounding Greinke as well. When the Cubs won the World Series back in 2016, they set a precedent in the MLB. Their 5-year rebuild led to a World Series victory, and this has become a formula for World Series titles. The Astros, who were already following this formula, won the next year in 2017. Now, I think the Braves will be the next to do this. Their rebuild didn’t feel as long, because prospects like Ozzie Albies and Ronald Acuna Jr. developed quickly. But there are still more top prospects on the way, and thanks to this first wave of young talent, the Braves will be able to contend before their rebuild is finished. I think they may even be World Series ready. The Bryce Harper-led Phillies, Atlanta’s division rival, will challenge them for the National League. Led by their HR-hitting duo of Stanton and Judge and upgraded rotation, the Yankees will come close as well. But I think the Braves are capable of outperforming these teams. The Cubs and Astros should still be competitive in these playoffs and stay competitive down the stretch. But I think they will have their playoff runs cut short by a Red Sox team looking to repeat and a Phillies team looking for validation that Bryce Harper was worth the money. Below are my projected finalists for the AL and NL MVPs, Cy Youngs, and Rookies of the Year. 1. Jose Ramirez CLE – Ramirez has emerged as one of the league’s premier power hitters. Expect him to come through at the plate on a more consistent basis and contend for the AL MVP award. 2. J.D. Martinez BOS – At the age of 31, I cannot see Martinez quite repeating what he did in 2018. But he will put up another consistent, 40-homer year despite just falling short of the MVP after playing over half of his games at DH. 3. Jose Altuve HOU – Altuve will return to MVP form after a 2018 that was subpar for his standards. His season will be highlighted by a hint of power mixed in with his speed and ability to get on base frequently. 1. Nolan Arenado COL – His 8-year extension will be motivation to live up to expectations in Colorado. Expect an dominant offensive year to go along with his elite defensive skills. 2. Freddie Freeman ATL – Freeman will help lead a young Braves team to the first World Series of what could make for the MLB’s next dynasty. After emerging as the top first baseman in the league last year, he will contend for the MVP as his offensive stats continue to increase. 3. Christian Yelich MIL – After winning NL MVP in 2018, Yelich will run with the momentum and top off the prime of his career with another dominant season. 1. Vladimir Guerrero Jr. TOR – This top prospect has the genetics and he’s been all out dominant in the minors. Expect him to make it up to Toronto early, earn the starting job at third and do the same in the majors, contending for Rookie of the Year. 2. Kyle Tucker HOU – Tucker may not have a starting job – yet. But he showed flashes of potential in 2018 and could get some time in the outfield or at DH in 2019. 3. Eloy Jiménez CWS – Another top prospect who needs just a few weeks in AAA before a major league call up. After that, expect him to earn a time share in the outfield and eventually (after a strong start) a starting job. 1. Peter Alonso NYM – If Alonso has a strong Spring Training, look for him to compete for the first base job as Todd Frazier, Jed Lowrie, Amed Rosario, and Robinson Cano split time between second, shortstop, and third. Cano could try playing first, but having Alonso there from Opening Day could be beneficial. I see him breaking out in his rookie year and winning NL Rookie of the Year. 2. Fernando Tatis Jr. SD – Tatis Jr. isn’t MLB ready yet, but I think he’ll make an immediate impact if they bring him up when the time is right. I could see a Hosmer-Kinsler-Tatis-Machado infield working out well. Luis Urias will have to wait until 2020 for another starting job. 3. Mitch Keller PIT – The Pirates’ first four starters have their jobs locked down. But if Keller gets off to a strong start in the minors, look for him to challenge Jordan Lyles for the #5 slot in the rotation and contend for NL Rookie of the Year. 1. Corey Kluber CLE – Kluber heads into 2019 with something to prove. He needs to convince the Indians that he’s worth the money to keep around. The Indians don’t have much money to spend, so Kluber will need to put up a Cy Young-caliber year in order to do this. 2. Chris Sale BOS – If Sale can get healthy and stay healthy, he’ll be the best pitcher in this league. But he always ends up collapsing at the end of the year, so I have slightly more confidence in Kluber. However, maybe Alex Cora can figure out a way to allow him to stay healthy all year. If Cora can figure this out, Sale’s definitely worth re-signing. 3. Tyler Skaggs LAA – A healthy Skaggs showed potential last season, especially early on. With no clear ace atop the Angels rotation for 2019 and Shohei Ohtani restricted to just hitting, expect Skaggs to step it up and emerge as LA’s new ace, something they have longed for since Garrett Richards began to decline after LA’s 2014 playoff appearance. 1. Max Scherzer WSH – Expect Scherzer to emerge as the top pitcher in the league this year when Jacob deGrom takes a slight step back in his age 30 season. Scherzer has not let his age define him, and if anything, he has only gotten better with age. I don’t see a decline happening anytime soon for Mad Max, and he has another Cy Young year or two still ahead of him. 2. Clayton Kershaw LAD – Kershaw has dealt with lingering injuries, but when he’s on the mound and healthy, he has looked like the same Kershaw we’re used to seeing. Despite injuries, he has posted an ERA under 3.00 in each of the last 10 seasons. As usual, I expect Kershaw to contend for the Cy Young, especially if he remains healthy. 3. Julio Teheran ATL – Teheran hasn’t looked like the ace we thought he would be since 2014. But he is still just 28, and as long as it happens in the next year or two, I could definitely see him return to ace form and lead a young Braves rotation. That’s all for this year’s MLB predictions. Stay tuned for more Red Sox and baseball coverage soon. Welcome to Part 3 of my 2nd annual MLB free agency predictions. Last off-season, things took a long time to get going due to a relatively dull free agent market. This year, that is not the case. We might have the best MLB free agent class in the history of my blog, and it’s bound to get going any minute now. That’s why I’m releasing my predictions in November and December this year rather than January. I wanted to get these out before the Winter Meetings, where a lot of big moves could occur. Today, I will be sharing my predictions for free agent outfielders, including Bryce Harper, Michael Brantley, and A.J. Pollock, as well as some trade ideas. Feel free to comment with your thoughts. Below is my tentative schedule for my 2018-19 MLB free agency coverage. Note: These predictions were made before Seattle’s trades on December 3 and Pedro Alvarez’s deal on December 5. The Yankees, Phillies, Dodgers and Nationals have been as Harper’s top suitors. But if you saw MLB.com’s free agent matrix for Harper, you’d see that the Indians have money to spend and desperately need an outfielder. Harper would be a good investment for them. 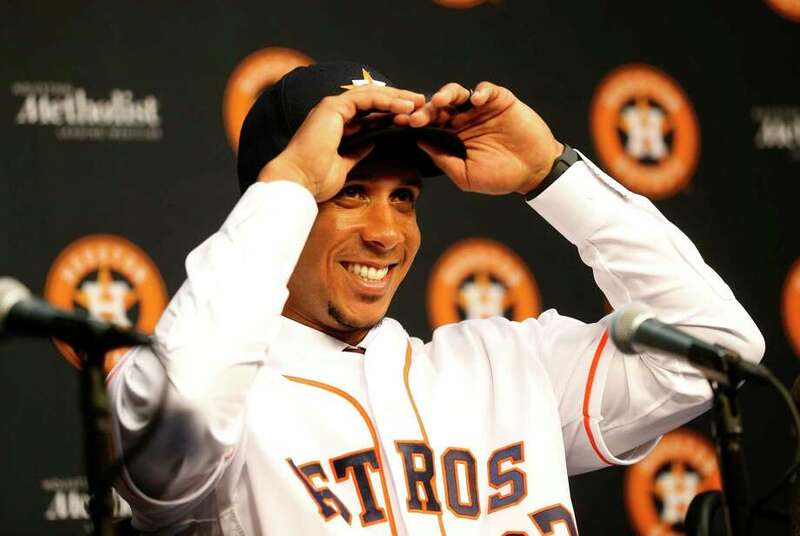 Brantley, the former Cleveland Indian, will head to Houston to provide an upgrade over the combo of Derek Fisher, Tony Kemp, Marwin Gonzalez, and co.
Jerry Dipoto is not rebuilding in the same way Miami did. They will still sign cheaper free agents, and outfield is a major need. Look for them to add one or two. Adam Jones is a good fit, and Hunter Pence will also give Seattle a boost, as he has not fully declined yet in his upper 30’s. The A’s don’t have much money to spend, but if they’re looking to contend, Andrew McCutchen would be a worthwhile investment who fits well in Oakland. If the Cubs miss out on Harper, A.J. Pollock could be a good fit. Albert Almora Jr. is not a viable CF option in my book, and they could use some outfield insurance even with Ben Zobrist helping out there. Kyle Schwarber and Jason Heyward have not met expectations either. If the Rays want to make a playoff push, they have to be aggressive this off-season. Markakis is an affordable, but elite outfield upgrade option for the Rays. After getting rid of C.J. Cron, they will need to add another bat to the lineup. Meanwhile, Jon Jay could be a good fit in St. Louis. He can share time with the young Harrison Bader in center. The Rockies are unlikely to bring back both Gerardo Parra and Carlos Gonzalez. The rise of Ryan McMahon may push Ian Desmond into the Rockies outfield. They will re-sign Parra for OF insurance though. CarGo could fit as a platoon outfielder in Atlanta. I could see a pretty even time share in the Braves outfield if they add CarGo. If the Phillies miss out on Harper, they will also still need an outfielder. Carlos Gomez would be a good fit. If Rhys Hoskins still gets time in the outfield, they will not want to commit to a top line outfielder like Harper. Granderson could be afforded by a smaller market team with a need for an outfielder. Look for the O’s to add him on a one-year deal while Anthony Santander and Cedric Mullins develop. Cruz will return to Seattle, who could still use 1B/DH help. The Tigers could use another bat to replace Victor Martinez, and preferably another veteran to anchor the rebuild. Gattis is a perfect fit. The Royals are also in the market for another bat, and Matt Joyce is an affordable option. I have Holliday returning to the Yankees on a 1-year deal to provide insurance for the outfield. Alvarez will head to Minnesota to help out Tyler Austin at first base/DH. Everyone says that Corey Kluber is going to be traded. But I think trading SP Trevor Bauer is a safer option. In return, they get Brad Peacock, who could be utilized as a starter or a reliever as well as some outfield insurance in Kyle Tucker. C prospect Garrett Stubbs will provide depth at catcher after the Yan Gomes trade. The Dodgers have been in the market for top-line starters including Kluber, but I find this fact ridiculous. They have an abundance of starters! Clayton Kershaw is still here, Walker Buehler is a star on the rise, Hyun-Jin Ryu and Rich Hill are solid mid-tier starters who are returning, and that leaves Kenta Maeda, Alex Wood, and Ross Stripling competing for the #5 spot. After bringing Ryu back, they have the flexibility to trade one of their starters, as I see Wood as a completely capable starter, and Stripling and Maeda should get the chance for a rotation spot. Hill is a good trade nugget, and the Brewers could use some better pitching, so they’d be willing to give up one of their many late-inning relievers for Hill. Knebel will help set up for Kenley Jansen alongside Tony Cingrani and provide depth in a weaker bullpen. This is a smaller trade, but worth it for both sides. Jays C Danny Jansen is MLB ready and can split time with C Russell Martin. That puts C Luke Maile in an awkward position. If they trade him to Minnesota, who needs a backup catcher, they could get some valuable pitching prospects to boost a weak rotation down the road. That’s all for my MLB free agency predictions. But my Baseball Bits on overly expensive free agents is up next. Stay tuned. As they do every year, Jordan’s Furniture, a major sponsor of the Red Sox, is having a big baseball sale. 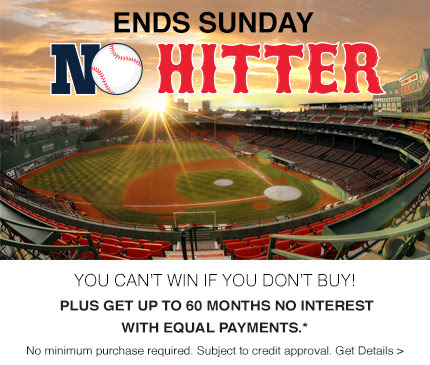 This year, they offered to make any furniture bought between March 28 and today (May 20) free if a Red Sox pitcher or pitchers throw a no-hitter (games shorter than nine innings do not count) between July 17 and the end of the regular season. Should you buy furniture? Will the Red Sox pitch a no-hitter after July 16? For those of you who are undecided on whether to give in and buy some new furniture, I have done some research about no-hitters based on the fact that there have already been 3 no-hitters in 2018. Based on the data, I calculated the chance of a Red Sox no-hitter during the time that the Jordan’s Furniture sale counts towards (July 17-end of the regular season). You can also come to your own conclusions, as I have provided my official data below. I looked at every regular season no-hitter since 1990 (according to ESPN) and tallied up all the no-hitters each year. I split it into no-hitters before July 17 and after July 16, and I also looked at how many were thrown by Red Sox pitchers. Based on my research, my previous baseball knowledge, and WHIP of MLB starters in recent years, I have concluded that there is 60.5% (about 3 in 5 chance) of a no-hitter somewhere in the MLB after July 16. The average of 2.2 no-hitters after July 16 when there has been 3+ before July 17 (data based on no-hitters since 1990) has had a big influence on these odds. But I couldn’t say there was a 100% chance of a no-hitter because I cannot tell the future. You have to factor in the fact that although there has been an increase in recent years, no-hitters are still very rare and unpredictable. You really cannot be more than 75% confident that one will occur during that time. I have calculated the chances of a no-hitter by the Red Sox as a 2.82% chance. This was influenced by the MLB odds because I divided those odds amongst all 30 MLB teams based on recent WHIP of starters and what I already knew before my research. If the Red Sox throw a no-hitter, it will likely be from one of two pitchers. Chris Sale’s WHIP is extremely low, and if he gets into a good rhythm and limits his pitch count, he could toss a no-hitter. However, you have to factor in late-season fatigue that is common for Sale as well as the fact that he often throws too many pitches to go deep into a game, even in the case of a no-hitter. They will probably not keep him in for more than about 150 pitches even if he has a no-hitter, at least with Alex Cora managing. He could start off a combined no-no if he has thrown too many pitches by the 7th or 8th despite a dominant game. He would need backup from an inconsistent bullpen for that though. 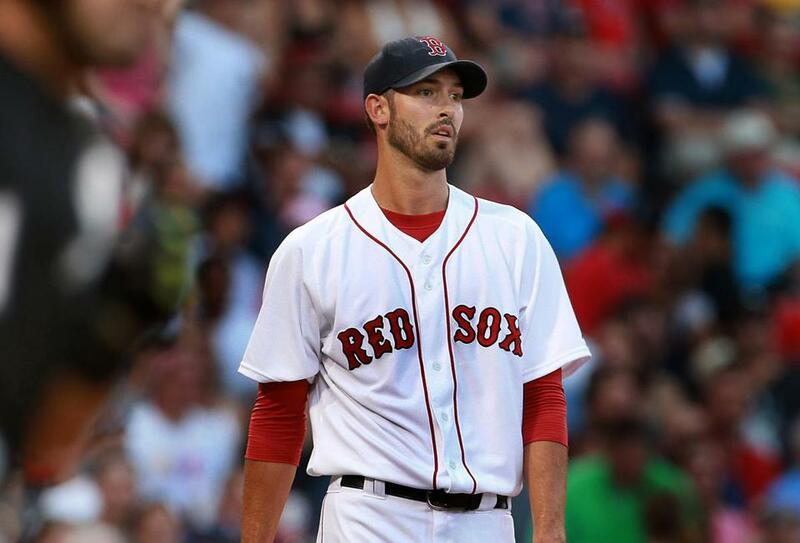 I think it is more likely that Rick Porcello throws a no-hitter. His WHIP has been very low this season as it was in 2016, his Cy Young winning year. Porcello is more of a ground-ball pitcher and is usually pretty consistent throughout the season. These traits help increase his odds of a no-hitter, especially if he continues to dominate this season (he is 6-1 with a 3.39 ERA). However, since it is extremely difficult to predict a no-hitter for any team, I would not recommend going all out buying furniture. If you need furniture, go right ahead, but I wouldn’t spend much more than you normally would because I still think there is less than a 3% chance that the Red Sox pitch a no-hitter. “MLB No-Hitters.” ESPN, ESPN Internet Ventures, http://www.espn.com/mlb/history/nohitters.